Here’s another ideal piece for Valentine’s Day. 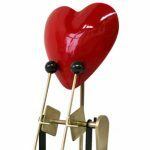 An alarming little machine to demand the attention of the one you love. Turn the handle and heart sounds the alarm. Size: 21cm / 9″ high. 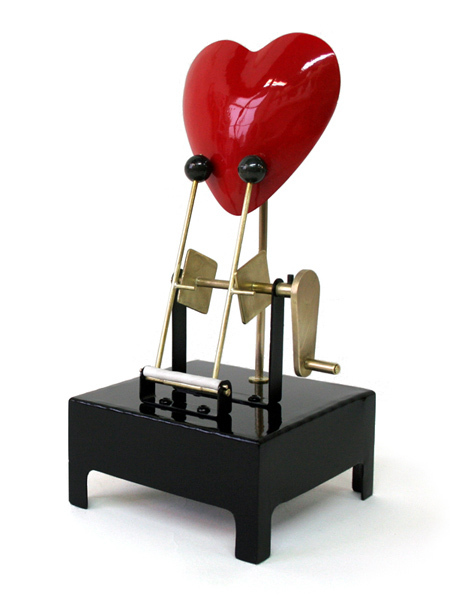 Materials: Powder coated steel base, brass heart and mechanism, silicone springs.